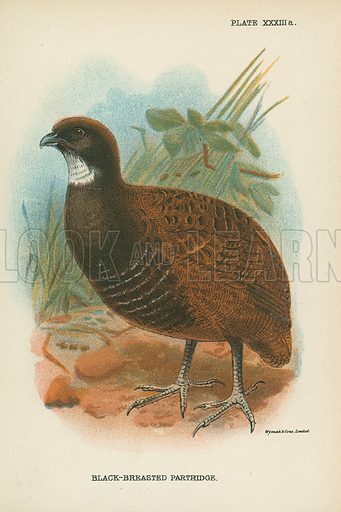 Black-Breasted Partridge. Illustration for A Handbook to the Game Birds by W R Ogilvie-Grant (Edward Lloyd, 1896). Available worldwide for immediate download up to 3,264 x 4,902 pixels.